BANGOR, Maine — WVII-ABC7 and its sister station, WFVX-Fox 22, were scheduled to become the latest Maine television stations to abandon analog service for digital signals shortly after the 11 p.m. newscast Tuesday. Unlike competing stations WLBZ-2 and WABI-TV5, which are operating both analog and digital signals until the new June 12 deadline, WVII and WFVX now will broadcast only in digital. 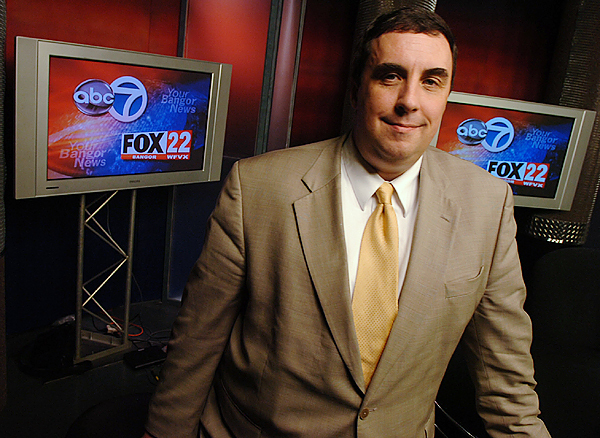 General manager Michael Palmer said the stations had considered keeping analog signals as well, but he said he doesn’t have the capability to broadcast Channel 7 in both analog and digital at the same time. Other stations do have that capability. “We understand that there will be some people who will lose the ABC signal, but that’s greatly outweighed by the number of people who will get our Fox signal who were unable to before,” Palmer said this week. WVII’s general manager also cautioned consumers that they will need to rescan their digital converter boxes in order to get the new stations. He said ABC will be broadcast on Channel 7.1 and Fox on Channel 7.2. Last week, the Federal Communications Commission indicated that it might impose restrictions on some stations that were making the switch before the extended deadline. Specifically, the FCC considered urging stations in some areas to keep analog signals until June 12. Palmer said he was given no indication that his was one of those stations. “What most people don’t realize is that it’s only 1 to 2 percent of households that are not ready,” he said. Suzanne Goucher, president of the Maine Association of Broadcasters, said because two other Bangor stations are keeping analog signals, there is less impetus to require WVII to do the same. WAGM-TV in Presque Isle, a CBS and Fox affiliate, was asked by the FCC to keep both analog and digital signals active until June 12, according to general manager Gordon Wark. “Basically, we’re the only full-power broadcaster in the area and the only source of television news,” he said, although he added that keeping both signals running creates an added cost of about $5,000 per month. Larger stations are paying even more. The Maine Public Broadcasting Network made the switch to all digital on Jan. 11 and has endured a number of complaints from customers who lost signals. Goucher said MPBN has responded recently by doubling the transmitter power of its tower in Litchfield, which will aid some viewers to the south and west of Bangor. “Folks who were unable to get MPBN should rescan their converter boxes or TVs [today],” she said. Palmer said he expects some similar complaints from WVII viewers who have lost signals, but in the long run, more Mainers will be able to get the stations. He did caution some viewers who still rely on indoor antennas, or rabbit ears, that they may need to upgrade to a rooftop antenna. Palmer also suggested that consumers point antennas in the direction of the WVII transmitter tower, which is located on Black Cap Mountain in East Eddington.